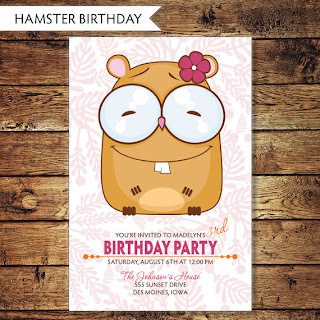 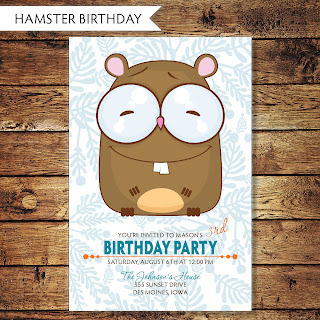 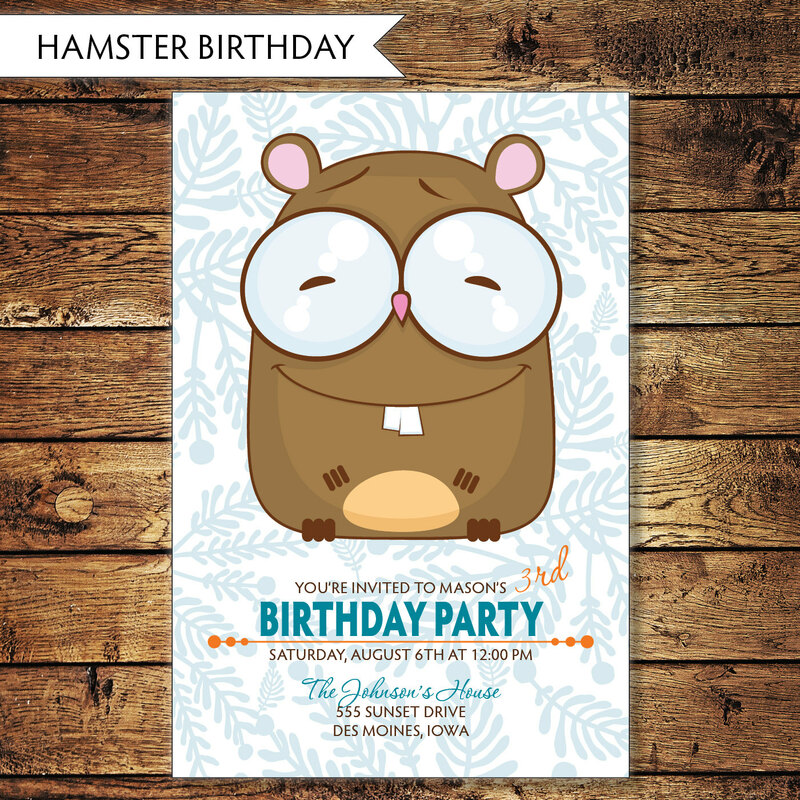 The inspiration for these hamster birthday invitations came from Ty's little brother Wyatt. 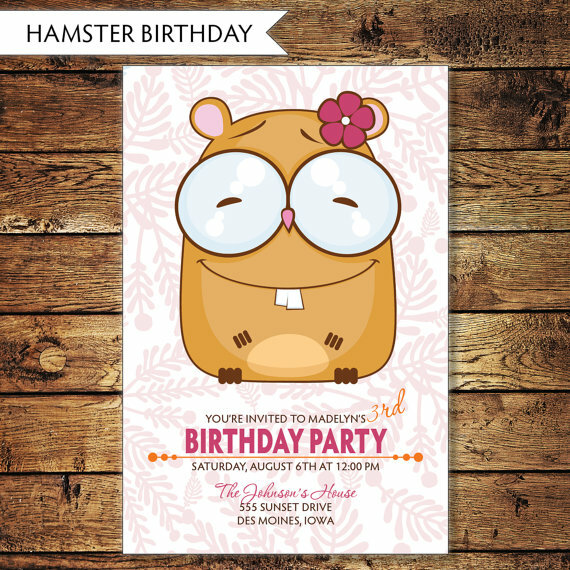 For Christmas he got a black guinea pig, Harley. 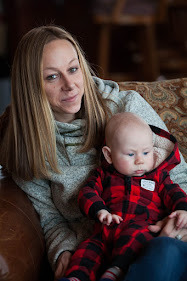 I forgot how cute they were!